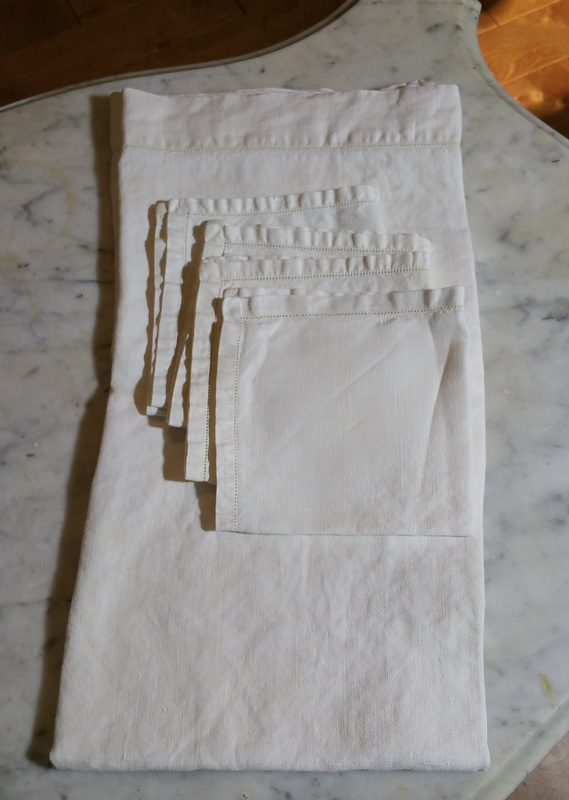 Off white vintage Linen tablecloth with hemstitch edges and includes 4 matching napkins. A simple look for a farmhouse feel or a sophisticated modern style. You can't go wrong having this set on hand. 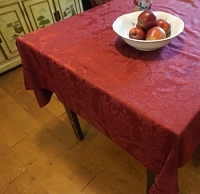 37" x 37" so it's perfect to set up a card table for extra guests or to use in the center of a larger square or round table.